New Adventures is delighted to announce the 2018 UK tour dates for Matthew Bourne’s legendary “SWAN LAKE”. The tour begins at Theatre Royal Plymouth on Saturday 22 September before visiting Curve, Leicester; Wycombe Swan, High Wycombe; Her Majesty’s Theatre, Aberdeen; Theatre Royal, Nottingham and The Lowry, Salford ahead of an eight-week Christmas season at Sadler’s Wellsfrom Tuesday 4 December to Sunday 27 January 2019. Full listings below. Further tour dates and casting to be announced soon. “SWAN LAKE” returns in 2018 with a fresh look for the 21st Century. Retaining all the iconic elements of the original production loved by millions around the world, Matthew Bourne and the creative team will create an exciting re-imagining of the classic production. 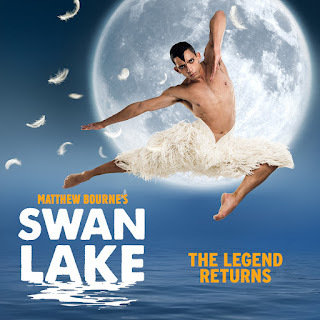 Thrilling, audacious, witty and deeply moving, Matthew Bourne’s “SWAN LAKE” is perhaps still best known for replacing the female corps-de-ballet with a menacing male ensemble, which shattered conventions, turned tradition upside down and took the dance world by storm. Collecting over thirty international theatre awards including three Tonys on Broadway, Matthew Bourne’s powerful interpretation of Tchaikovsky’s beloved tale is a passionate and contemporary Swan Lake for our times.